Berlin - Hertha Berlin compounded winless VfB Stuttgart's early-season woes with a 2-1 win at the Olympiastadion on Matchday 4. 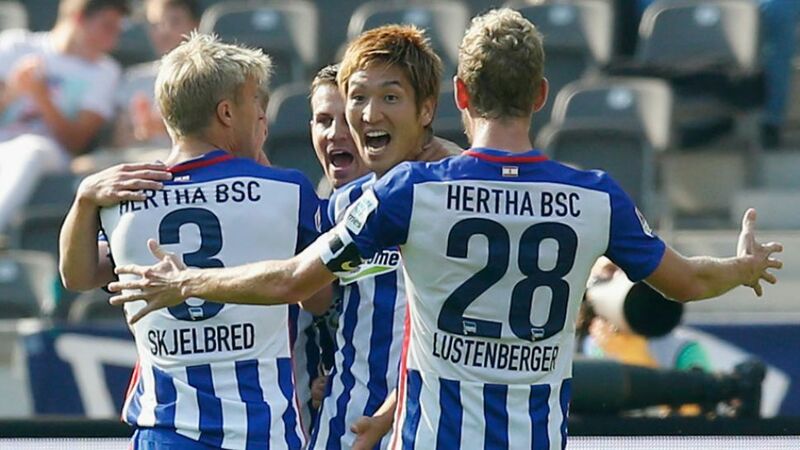 Hertha almost went in front early on through a Salomon Kalou header, and it was not long before they took the lead, with Mitchell Weiser feeding Genki Haraguchi to thread his shot through the legs of VfB goalkeeper Odisseas Vlachodimos. The Swabians came back strongly and their pressure paid off when Daniel Didavi's free-kick was headed in by Toni Sunjic, who netted with his first shot on goal in the Bundesliga. Hertha restored their lead just before half-time, however, with Fabian Lustenberger's volley nestling in the top right-hand corner. Former Stuttgart forward Vedad Ibisevic and Kalou wasted further chances to increase Berlin's lead in the second half, but a third goal was not necessary as Stuttgart slipped to a fourth straight loss of the campaign.